Need a boost to start the day? Here’s something you can count on Daily! 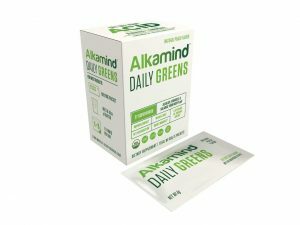 The Alkamind Daily Greens contain 27 nutrient-dense, alkaline superfoods that alkalize, detoxify, and energize your body. Both rich in chlorophyll, vitamins, minerals, and anti-oxidants – or use these anytime to get a boost of energy throughout the day. These packets are fast-absorbing alkaline minerals that are needed to neutralize the acids and toxins in your body. Could this be used in conjunction with a detox or cleanse of your body…worth looking into!